My Photoshop Friday series is a bite-sized approach to learning Photoshop. With each project, I'll show you a truly useful Photoshop technique, and we'll practice it in the context of a cool digital scrapbook page. You'll receive all the materials (yay digital scrapbook supplies!) a 10-15 minute video lesson, and a downloadable PDF walkthrough for the technique itself (idea: print those babies out and make a binder). 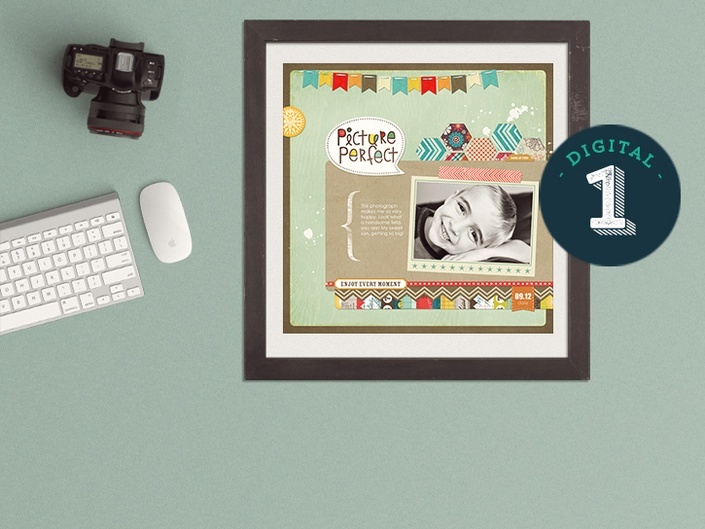 With each mini-class, you'll learn gorgeous and useful techniques that cover the whole range of the digital scrapbooking craft, including photos, type, pattern, and embellishment. Best part? You can complete an entire page in half an hour (unless you spend the first 25 minutes looking for a photograph, in which case all bets are off). So that's the achievement. Now how about the awesome? The thing is, there are plenty of ways to learn Photoshop. You could follow tutorials that teach you how to make text look like it's on fire (not gonna link that one). Or how to swap your boss' head with the body of a barnyard animal (definitely not gonna link that one). Great fun! Not so useful. BUT, by joining Photoshop Friday Forever, you'll get the opportunity to learn real-world techniques you can adapt and re-use over and over again, across all the areas of your life! Plus as part of Team Forever, you'll be able to get inspiration for additional projects based on the techniques in the mini-classes, so you can see them in action! With Photoshop Friday, you can incorporate a little learning, a little memory-keeping, and a LOT of fun into your week, and get access to all the courses you might have missed. So, Why Make Scrapbook Pages? This question is an obvious one to memory-keepers (insert eyeroll). But to those who haven't seen the light? Well, sometimes when I talk about scrapbooking, people give me that face. You know the one? That turns regular people into judgy-pants and instantly sends you on the defensive trying to explain how it's not about puffy stickers and alligator scissors, or a font with letters shaped like a picket fence. But scrapbookers know. We know the good stuff. We savor and save the good stuff. And all anyone has to do is try it, right? Like veggies. And above all else, I've found that Photoshop is easiest to learn when it's easy to apply. That's why I make such a big deal about real-world techniques. There's a quote I like to use in the classes I teach, that really evokes the power of recording our stories. Other studies have shown that children who live in homes with photographs of themselves are happier and better adjusted, because of the sense of belonging that brings. Reading the stories you've told about the people who love you is a precious experience, and it's your way to show your own love in a way that lasts forever. Three: Become a Photoshop Ninja. You'll be amazed (seriously) at how many other areas of your life become easier when you learn Photoshop. That poster for your kid's school? The cover for that report at work? Decor for your empty walls? Gifts for one and all? Boom. Done. We scrapbook to taste life twice. And we scrapbook digitally to taste life twice and also secretly become Photoshop ninjas. Right now, I post a new Photoshop Friday course that's free each weekend, from Friday through Sunday. After that, the course is gone! But when you subscribe to the Photoshop Friday Group, you'll get continuing access to all of the Photoshop Friday mini-classes, both past and present! Each course comes with all the materials you'll need, including a starter digital template, patterned papers and embellishments. All you'll need is a few photos! In addition, you'll get continuing access to my Photoshop Friday LIVE courses on the first Friday of every month, as well as the PDF walkthroughs for those techniques. And that isn't even all: You'll get an invitation to join the PSF Facebook Group, where you can ask and answer questions, share projects, and exchange ideas for how to remix the techniques into all kinds of projects! p.s. If you need to learn the super-basics of Photoshop, my course for beginners is included in the library! Join me for Photoshop Friday Forever, and I'll see YOU in class. You ninja. Wear your heart... on your card! Wrap it all up in a cute cup to boot! Create this gorgeous Smooth Sea poster! Create a Custom Brush of Your Family's Silhouettes! Sign in & Say Hello! Wrap up your gift with a little joy! A cute gift for when you are short on time! Map out all the places you've been! Create a book to collect your favourites in. Take a sweet approach to gift giving and decor! Photos in columns and rows, oh my! Never Miss a Special Day Again! Thank you for being a PSFF Subscriber! It's Time to Welcome in the Cheer! Celebrate the Month of November with this Mini Class! 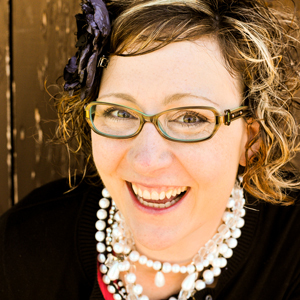 Celebrate what makes you happy with this mini class! Have Your Gifts Wrapped in Love & Photoshop! No cutting corners for this design! Join me for a new way to create journaling cards! The A to Z of using both fonts and alphabet stickers! Create a stylized torn edge look! This lesson will have you going in circles! The ins and outs of layering a frame! Let's use a swirly brush to create an embellishment! Stitch away with this lesson! Everything you need to know to bring the real world to the digital world! For all the Spooks in your life! Get ready to scuff it up! Shake it up with your own collages! From Clip Art to Photoshop: All you need to know! Let your photo frames guide your journaling! When the little details count! Learn one of my favorite photo editing techniques! Fill Your Type with Awesome Patterned Papers! Select your photo and get ready to pop! Create titles that stand out on their own! Get ready to create your own frames! Get ready to be filled in on how to create awesome font stickers! Create a custom embellishment as unique as you are! Everything you need to know about creating story boards! Photoshop Friday: Create a Custom Shape! Let the Sun Shine in on Your Page! Question marks, exclamation marks, what could be more fun? Photoshop Friday: Use the Star Tool! Photoshop Friday: Create a Custom Banner! Create a Banner as Unique as You Are! Customize your very own polka dot pattern paper! Go with the flow as you create rounded corners! Half the Circle, All the Fun! Add a little detail to your designs! Use a Pattern Paper to Create Your Own Stickers! Today, your journaling is the star! Round out your page with an awesome rounded rectangle journaling block! Let's Make Your Titles Really Stand Out! Add a photo booth photo strip to your layout! Have a Photo be the Standout Star! Let's add some whimsy to our layouts! Happy Holidays from Sprague Labs! Add a little zazz to your layouts! Have text be the star of your textured layout! Let Your Photo take Center Stage! Photoshop Friday: Use a Photo Mask! Masks are not just for photos any more! Use a brush to create this wonderful effect! Go from black and white to color! Convert your Photos into Timeless Sepia Tone Photos! Bring something from Real Life into the Digital World! Add texture and visual interest to your layouts! Add a little snazzy dingbat to your journalling! Expand your title across two pages and create a double page spread! Bend around corners and frame your photos! Reverse out your type and add a new element to your art! Add a little flare to your photographs! Don't let summer walk out just yet! Learn this new way to make a word art title! Add an extra twist to your layouts! Photoshop Friday: Best Summer Ever! Create your own Summer 2017 Bucket List! Add a rainbow of colors to your titles! Photoshop Friday: Use Alphabet Rub Ons! From A-Z how to use Alphabet Rub Ons! Photoshop Friday: Create a Calendar Layout! Count down the days with this gorgeous spread! Learn my special technique to create a gorgeous black and white photo. Learn how to use a textured overlay to create patterned paper! Make your photo dreamy and be taken away! Use Oversized Type and Create a Sticker to add drama! Tone on Tone, the Live Extravaganza! Learn the beginning of Type-ology! Photoshop Friday is a weekly Photoshop mini-class, featuring a single awesome Photoshop technique wrapped up in a super-cute digital scrapbook page! What is a Photoshop Friday course like? Each mini-class contains all the materials you'll need to create the featured layout, plus a video lesson (typically 15-20 minutes), and a downloadable PDF walkthrough. Because of this mini-class format, you'll be able to complete pages fast AND learn Photoshop skills to last you a lifetime! How long do I have access to the Photoshop Friday courses? When you subscribe, you'll get instant access to ALL the Photoshop Friday tutorials I've published so far in 2017! In addition, you'll receive members-only access to all future Photoshop Friday mini-courses, for as long as you're a subscriber! How about bonuses? I like bonuses! Oh man. Me too! So here's the cool stuff: For as long as you're a PSF subscriber, you'll have access to the exclusive PSF Facebook Group, where you can ask and answer questions and share projects! You'll also have continuing access to my LIVE Photoshop First Friday tutorial and the PDF walkthrough that accompanies it.